Why is the ACCC investigating Facebook and Google? When it comes to the world of digital marketing, it’s very much a two-player game, one between Google and Facebook. But should we be worried about the power these media giants have over us as both business owners and consumers? Or should we be celebrating this new era? The ACCC has conducted an inquiry into digital platforms, a world first. The inquiry looked at the effect that digital search engines, social media platforms and other digital content aggregation platforms have on competition in media and advertising services markets. Over the past two decades, digital giants have emerged and shaped the “virtual” world that we live in today. Right now, both Google and Facebook provide us with fantastic marketing and advertising opportunities, something that many real estate businesses have yet to tap into. Most real estate agents and agencies are blind to the possibilities sitting right in front of them, to scale their business using the online marketplace and advertising tools we have today. Having worked in digital for over 20 years, I know just how far we’ve come in that time. And how fast, because Google only arrived on the scene in 1998, and funnily enough, that’s the year I stepped into the workforce and started building websites for global consulting firm PricewaterhouseCoopers. realestate.com.au and domain.com.au were not far behind and started to gain traction around 2001. Looking back, I remember attending internet industry conferences where Simon Baker, then CEO of REA, was speaking about his vision. Facebook arrived in 2004, not long after the internet boom imploded. Does anyone else remember living through the dot-com bubble? I felt the shudders and saw the fallout for people with internet-focused jobs like me. Back then the term “digital marketing” was barely a blip on the radar. Today, we refer to Google and Facebook as “new media” platforms for good reason. They act in a similar way (or replace) the “old” or traditional media organisations: newspapers, TV, radio stations. Every day, Google and Facebook are transforming their platforms; they’re becoming omni-channels through which we receive on-demand TV, videos, written news and socially relevant information. All this is having an effect on today’s popular beliefs. Two decades in, digital platforms are largely unregulated worldwide. As a result of its inquiry into digital platforms, the Australian Competition and Consumer Commission (ACCC) is making a move to have Australia become the first country globally to put in place stricter regulation, and the body holds the view that other countries will then follow suit. The ACCC is concerned with “filter bubbles” and “echo chambers”. If you aren’t familiar with these concepts, they’re fairly self-explanatory. They’ve been defined as the phenomenon by which an algorithm or algorithms reflect our own political and cultural views back to us, and we see only that news that aligns with our values (or, at least, our online values). Because there’s no transparency around the algorithms, the commission wants to ensure that these new media channels have ethical foundations like the old newspapers. The ACCC is also concerned with the large amount and variety of data that digital platforms such as Google and Facebook collect on Australian consumers — data that goes beyond that which users actively provide when using the digital platform. Facebook is currently facing criminal investigation due to its (now mostly defunct) data device sharing deals it made with companies such as Microsoft, Amazon, Apple and Sony. In particular, the ACCC is concerned about the length, complexity and ambiguity of online terms of service and privacy policies, including click-wrap agreements with take-it-or-leave-it terms. Another damning finding was that Google and Facebook have the ability and incentive to favour related businesses they own or with which they have a commercial relationship. If you’d like to read the detail, the ACCC’s preliminary report contains 11 recommendations and eight areas for further analysis as the inquiry continues. If you didn’t believe the far-reaching impact of Facebook and Google, you only had to witness the outcry during the great Facebook, Instagram, Messenger and WhatsApp outage of 14 March 2019, with Google experiencing serious glitches that day as well. When users start calling Triple Zero because they can’t access their social media, you know it’s serious (kind of funny, though). We all need to wake up to the fact that traditional media is being replaced with new “digital” media. As a business owner, it’s imperative that you become familiar with and make use of Facebook and Google advertising. Social media marketing is changing; you need to be aware of the new rules and standards to which these advertising mega giants will be held. And, as the saying goes, forewarned is forearmed. So, do you need to worry? No, I don’t believe so. As long as we all make it our business to ensure that we understand the digital landscape and how it can be used to benefit us both as individuals and as business owners, then the opportunities are exciting. 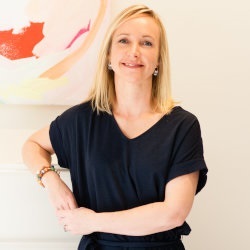 Melanie Hoole specialises in helping real estate professionals perfect their personal brand, build a first-class digital profile, and implement inbound marketing activities to attract property owners. If you’re looking for digital help but are unsure where to start contact Melanie at www.hoole.co or read her #digithoole insights at www.hoole.co/blog. Have you won an REB Award… and if not, why not?